Shortly after Kyle, Texas was founded in 1880, Ms. Porter’s paternal grandmother built a three-room house on Center Street. Following his wife’s death in 1892, Porter’s father and his four children moved into the house where Katherine Anne Porter, born in 1890, lived until 1902. In 1997 Kyle residents, the Austin Community Foundation, the Lower Colorado River Authority, the Clayton Fund, and the Burdine Johnson Foundation purchased Porter’s childhood home. Afterward, Bill Johnson and the Burdine Johnson Foundation funded renovations according national landmark standards. Restoration was completed in April, 2000. A gift from the “Angel” Foundation, established by Curt Engelhorn, a nephew of Katherine Anne Porter’s childhood friend, Erna Schlemmer, initially funded the operation of the Katherine Anne Porter Literary Center. 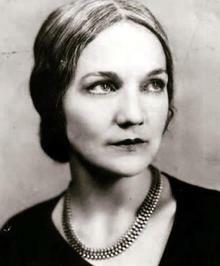 From 2002-2004 the Burdine Johnson Foundation funded the Katherine Anne Porter Young Writers program. Subsequently, an annual gift from the Burdine Johnson Foundation expanded the Visiting Writers Series, which has brought to the Center writers such as Pulitzer Prize winner Annie Proulx—the first writer to read at the Center—as well as National Book Award winners Tim O’Brien and Robert Stone, Booker Prize winner Roddy Doyle, Pultizer Prize winner Richard Ford, and U.S. Poet Laureates Robert Haas and Charles Simic. Each year six to eight writers read at the Center. All readings are taped and then made available on video at Front Porch, the MFA Program in Creative Writing at Texas State University’s online journal. In 2002 the house was designated a National Literary Landmark. In 2006, due to the efforts of Kate Johnson, the house was added to the National Register of Historic Places. Currently, Texas State University leases the house as part of a cooperative project between Texas State and the Hays County Preservation Associates, established by Lila Knight. Since 2010 the Burdine Johnson Foundation has funded all events at the Center, its daily operation, and its writer-in-residence. Read "Courting Miss Porter," an essay by Tom Grimes. Copyright 2018 Texas State MFA Program | Texas State University-San Marcos is a member of the Texas State University System.